I am honored to spend my time with a beautiful black lost and found shepherd I have named Joe. He was found on the highway by some kind soul who was brave enough to pick him up and drop him at a rescue home. He was in rough shape - bleeding eyes and ears and all skin and bone. I got a call from a friend saying she knew of a shepherd who needed a home and he came to live with me. I thought he was about 11 years old and with luck he would live 6 months...that was 5 years ago. He is a truly gentle soul who has taught me about courage. He has survived losing an eye to glaucoma, PAF and now crippling arthritis. He takes all this in stride and continues to enjoy the days. Someone recently asked me why I always have old dogs and my true answer is why not, they give more than they take and it is just the best to see a happy gleam in their eyes. Joe and I spend hours just sitting on the shore of the lake, he no longer runs but lies beside me and wind walks with his nose, these are priceless times for us both. I read somewhere that a shepherd is happy when he is up in his ears and Joe is definately up in his ears these days. Joe and I recommend giving an old lost dog a home. Hi Lana. What a great GSD rescue story. 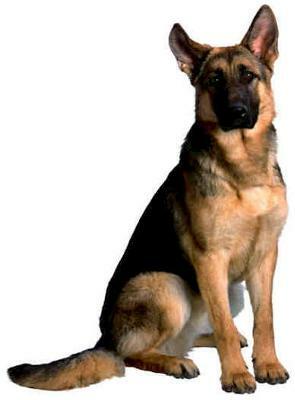 Thanks so much for taking the time to come here and share your own German Shepherd rescue story with us all. Joe is so very lucky to have you come into his life - and I am sure that you feel the same way about him. And continued success to you both. I have to agree. I have had many experiences over the years taking in all kinds of dogs. The most surprising was on old lab-hound dog mix that someone had cruelly left behind. We nicknamed him "smelly Fred". At first I didn't want him because I thought I had all the dogs we could handle (eight total at the time). But my husband saw something in him. And for a little water, food and some kindness, he adopted us and starting watching our property for us. He loved joining in with our group of rescue dogs for play time; never showed hostility. I finally broke and brought him in, gave him a bath and place by the fire since it was starting to get cold. He was the most appreciative dog we ever had. He died almost a year later but he was loved and had a home for the last year of his life. I never regretted bringing him in. Despite the hardships he experienced by being discarded, he was willing to trust again and give his all for his new family. Humans are supposed to be the higher species but when I work with my rescues, I'm not so sure. We recently rescued a young shephard. And she amazes me everyday. Thanks to all who do rescues and take in the discarded. You are doing a good thing. What a lovely story. Bless you for rescuing a homeless dog. 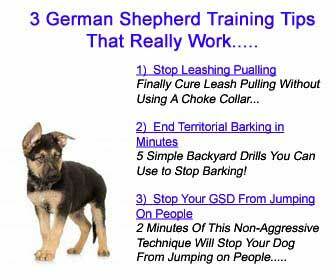 Being a German Shepherd owner myself, it's heartening to read your tale.